We are excited about our new Concrete Division specializing in all forms of decorative concrete work such as stamped and colored. 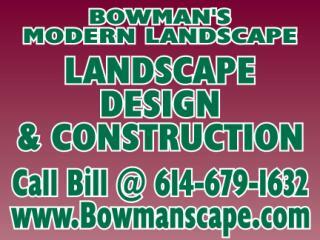 Proudly in business since 1988, Bowman's Modern Landscape has been a full-service landscaper providing quality service to residential and commercial clients in the Columbus, Ohio area. 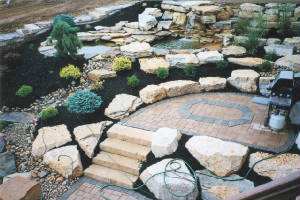 Specializing in landscape construction and design, such as all forms of stonework, brick and paver walkways, patios and driveways, retaining walls, proper drainage systems with natural materials (dry streams), and trees and plantings artistically placed to accent the master plan. Our professional contractors are dedicated to working with you to implement a solution that meets your needs.